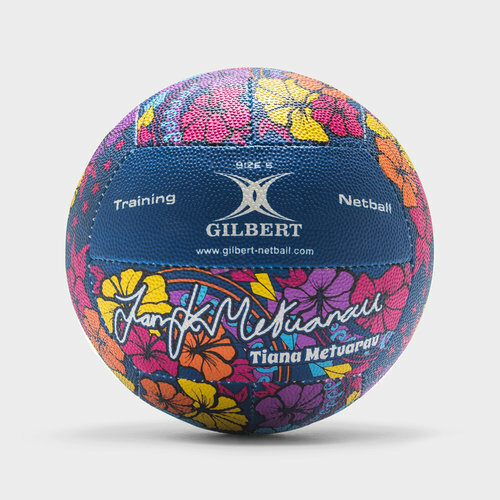 Perfect for training purposes, improve you're all round skills from ball handling, catching, passing and shooting with the Gilbert Signature Tiana Metuarau Netball. This training ball from Gilbert is for use on any surface whether that's indoors or outdoors enjoy the same benefits from this entry-level training ball which has a blended rubber surface which provides all-around grip for all the ball control you need. Featuring a Gilberts very own Duragrip pimple configuration which is a raised dot design over the entirety of the ball which is provides improved ball control. The synthetic latex bladder also ensures there's no unnecessary deflation.